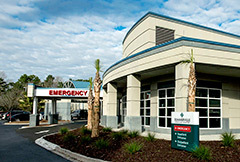 Summerville Medical Center is a 94-bed, acute-care hospital with a 24-hour emergency room and comprehensive medical services. The facility enjoys an enviable reputation for its cardiac services, sleep lab, and women's services, including ''home-like'' birthing suites. Trident Health System has earned recognition as a leader in the delivery of healthcare in the Lowcountry.